The story moves around Radhika and Aditya and their life. Radhika is a recently widowed woman in her early thirties. She is just getting done with her step daughter’s wedding, whom she detests to the very core. Though the feelings are a bit overdone, they are mutual. She looks forward to her freedom which can only come after the wedding as predetermined by the will that his ageing husband had left. While Radhika dreams about her freedom, she does not realise that it will not be as exciting and delightful as she has predicted it to be. On the other hand Aditya, is a jobless wanderer buckled down by a steeply dropping bank balance and an on-the-verge-of-failure marriage. Having lost all hopes of landing a job and finding happiness, Aditya finds his refuge in drinking and continues to spend his evening getting wasted at bars. Little does he know that it is in such a bar that he will chance upon Divya, after which his life will never be the same again. The author has narrated story of Radhika and Aditya very well and as they start with their respective stories the reader would never imagine that the two entirely different stories are somehow connected and are just pieces of a puzzle which will eventually fall in place and complete the whole picture. The story tells you that love exists, and not just in “happily ever after” conditions but in adversities as well. It tells you the story of such a love which though born was never meant to survive, and though survived was never meant to thrive. But flourish it did, even after years and years of hardships and misfortunes. To unfold the same you need to read this book. The concept is good, the twist and turn in the story is enthralling. The author has narrated the story well as it keep readers looking forward to what will be next. The characters of Aditya and Radhika are beautifully portrayed and there is a depth to the characters. This is a great achievement by Author. The story becomes a bit predictable in the end and I was able to guess the climax. Though the title of the book well thought and goes with the ending. 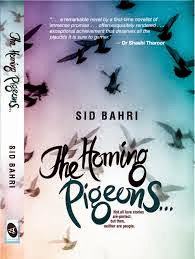 Overall if asked I would say...this is a good work done by Author… (Sid Bahri) I would give 3.5 stars to this book.